It is for the FABULOUS book, Mod Podge Rocks! from the super talented Amy Anderson who blogs over at, well, Mod Podge Rocks. 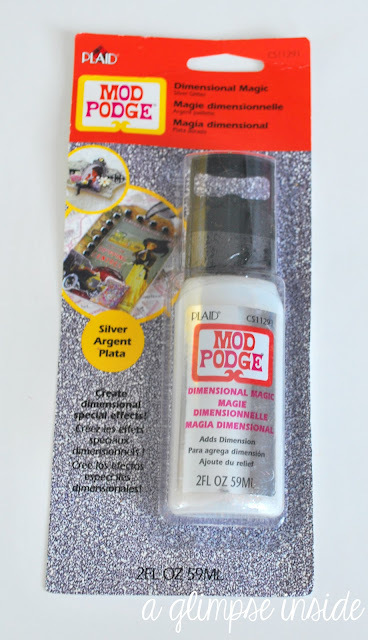 It also includes some great Mod Podge products from PLAID. But first, let me tell you a little about this awesome book! 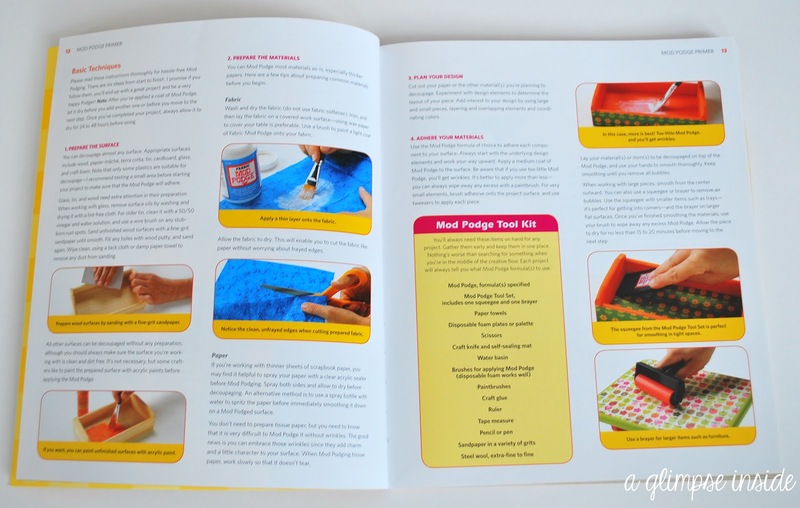 The first couple pages of the book are chopped full of tips and tricks to help you successfully Mod Podge to create gorgeous products everyone will be envious of. I know I could have used some of these tips when I first starting Mod Podging! The book is full of 40+ FABULOUS ideas with lots of colorful pictures and how-tos so you can also create the projects for yourself. How stinkin' ADORABLE is this suitcase!! I LOVE IT! Makes me want to go out and find some super cute fabric and an old suitcase and get to work! This would be adorable for Parker to use when she goes visits her grandparents! 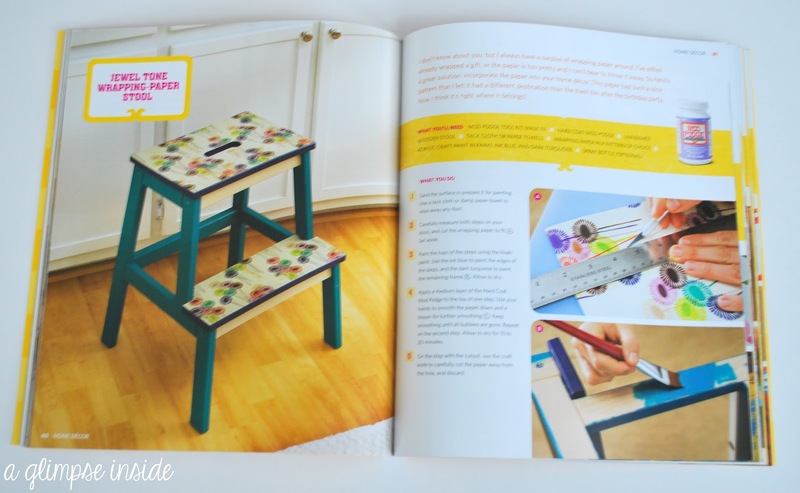 I also love this stool makeover. They used wrapping paper to recover the stool but I'm sure some scrapbook paper would work just as well. 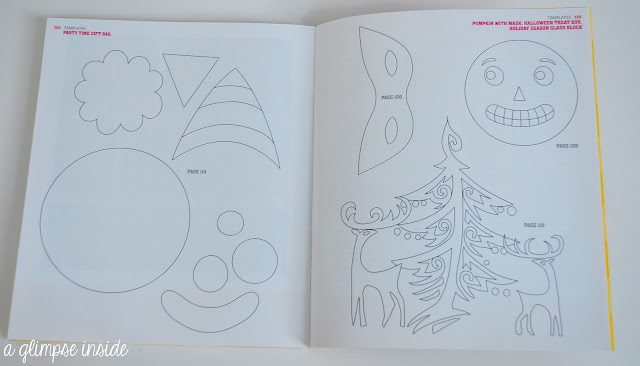 In the back of the book, they have some templates for you to create some of the fun holiday projects that are shared. More about the giveaway items. 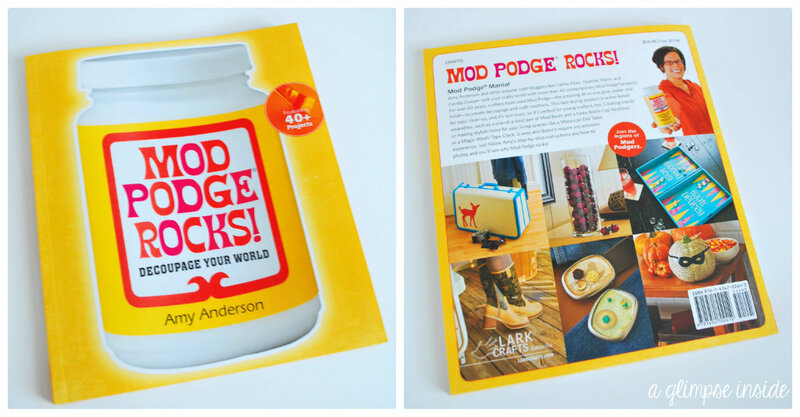 One winner will receive this great book, Mod Podge Rocks!, and a goodie bag full of Mod Podge items from PLAID. So if you want to be the lucky winner, enter below! I will announce the winner next Thursday, July 26th. My favorite thing I created with Mod Podge was a Valentine's Bird cage gift tag with dimensional magic! You had me at WASHABLE Mod Podge!!! :) What a great giveaway...entering right away! My favorite thing I made with Mod Podge was fabric covered canvases for my daughter's nursery: http://curlymo.blogspot.com/2012/04/fabric-on-canvas-bird-art.html. I used mod-podge to make adorable herb pots. Cute fabric really dressed up the clay pots with the help of mod-podge! I am in the process (or should I say my daughter) of using Mod Podge and scrapbook paper on pumpkins. I would absolutely LOVE to win this book! I love creating picture coasters. 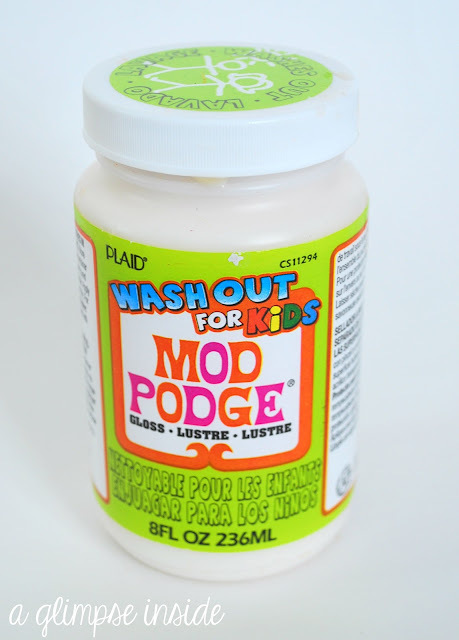 I've never used Mod Podge. But I would make a decoupage frame. 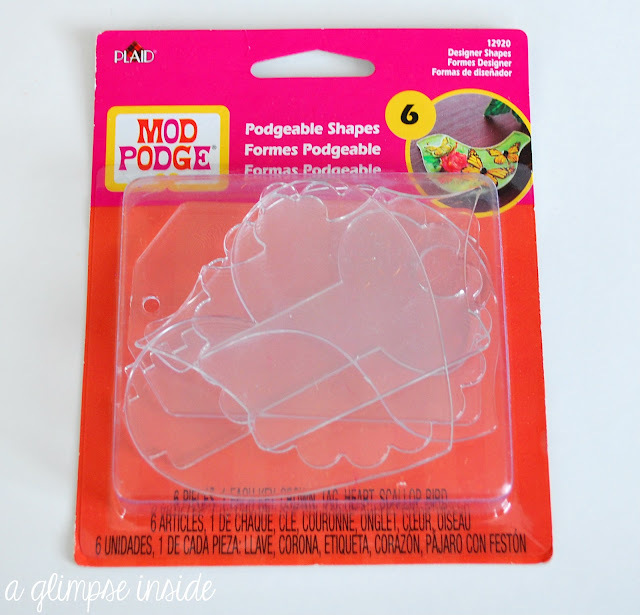 I use Mod Podge for all kinds of things! My recent favorite is some wall art I'm working on for our living room. I like creating decor for my little girls nursery. 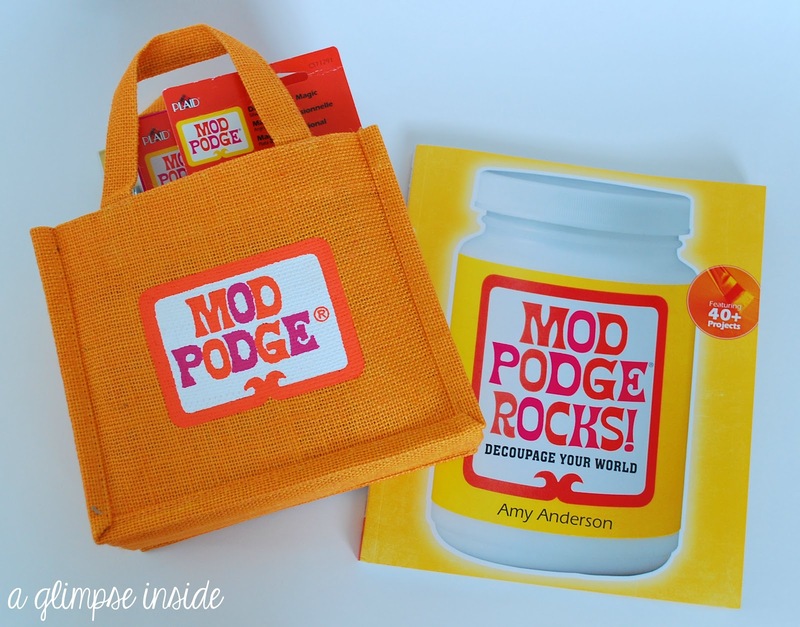 I can't sew, so Mod Podge is the perfect thing to help me add special touches. I love creating jewelry with modpodge. I've just started making journals for charity with Mod Podge and am having so much fun with it! My favorite thing(s) to create with modpodge are repurposing old items into new, fun, usable things! 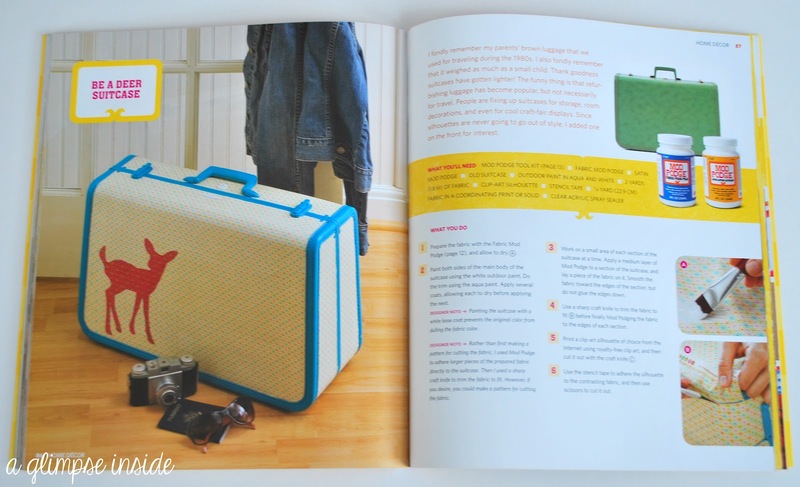 For example, I'm repurposing and old toy box into a new "memory box" for myself - and modpodge would make it awesome! 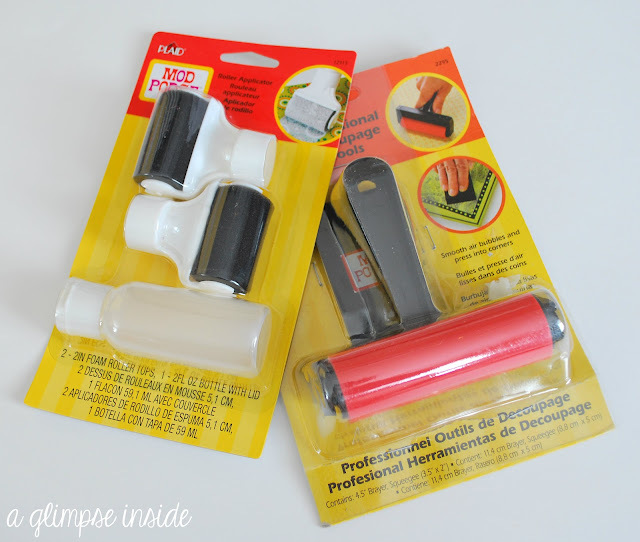 I love using it to seal fabric!!! I like making jewelry...next project flower pot, coasters, and light switches!! I like using it on trays. WOW this prize is amazing!! I LOVE Mod Podge and am always looking for new ways to use it! I run a program for adults with disabilities and we are always doing crafts.. I need more ideas!! I fell in love with Mod Podge in my early teens. I covered so many plain boxes for storage - art supplies, pens, makeup, makeup brushes, nail polish, you name it. And many have made it through the many phases of my life. i made some regular black metal fold chairs fit my style by mod podging magazine clippings to the seat and backpiece and then adding an additional layer of mod podge to protect the pictures.. ive also used mod podge to create coasters by getting tiles from the ReStore and mod podging yarn to the tiles. 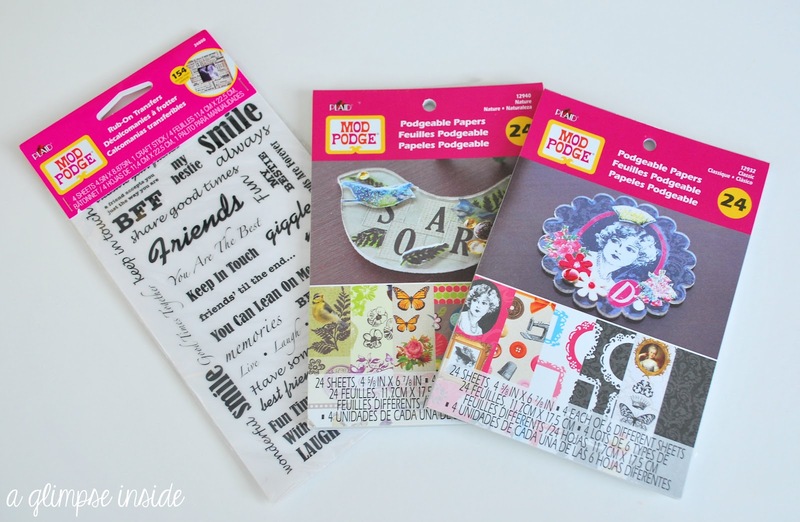 I love MOD PODGE! !